Feature The other week a Viewsonic VX2475Smhl-4K monitor, boasting a 3840x2160 resolution running at 60Hz – though only 24-inches of it – shows up at my door. I’m happy as a clam until it dawns on me that this isn’t a job my faithful little NUC, the Gigabyte Brix Pro, is up to. I was going to need a rig and a half, probably costing more than my last two cars combined, to make use of this number of Pixels Per Degree of Vision (PPD). With HDMI 2.0 and DisplayPort 1.2a, Viewsonic's VX2475Smhl-4K monitor is cheaper than a UHD telly but is a 24-incher enough? Just when I thought I’d have to send the Viewsonic 4K monitor back, without witnessing The Witcher 3’s glorious sunsets and craven hags in four times as many pixels as usual, a chance encounter with the chaps from Overclockers UK at a Kingston HyperX gaming event put an end to my woes. Water cooled and to die for, I was sent the beef cake Infinity Vesuvius gaming PC powered by a quad-core Intel Core i7 4770K overclocked to 4.7GHz, with 16GB of RAM. 4K gaming? No sweat, with its AMD dual-Radeon R9 295X2 GPUs configured in quad Crossfire mode, it pumps out the pixels on cue. Just watch your energy bill, this Corsair H105 closed-loop, water-cooled mosasaurus is as quiet as a mouse but runs from a 1500W Silverstone Strider ST1500 power supply. 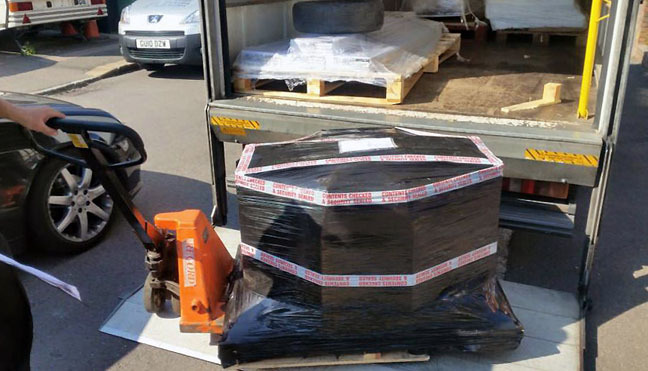 Needless to say, it arrived on a pallet. Booting up this monster rig, I’m well aware there are few who have the resources to equip themselves with such high-end gaming hardware. This may be last year's model that fetched £4,000 at the time but I'm not complaining, as suddenly I’m a member of an elite club. But for how long? 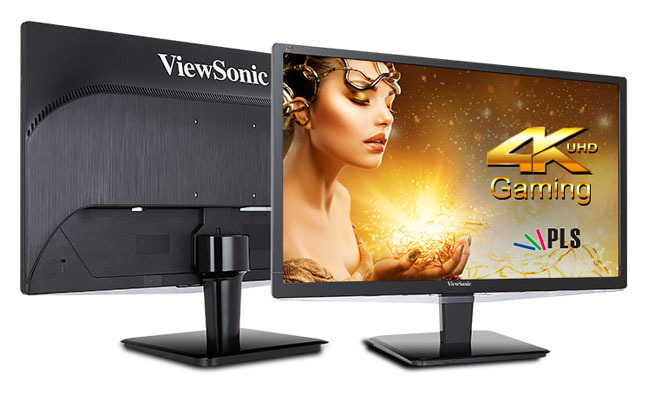 I suspect the financially insecure won’t be closed out of this clique indefinitely as the Viewsonic VX2475Smhl-4K monitor retails at a reasonable £329, and all you need is the kit to run it, which brings me back to where I started. The GPU will always be the limiting factor and at 4K you can almost smell the cheaper ones burning and falling over. You’ll also need to make sure you are compatible. HDMI 2.0 has only recently appeared on graphics cards with Nvidia's GTX 980/970 being the first. So if you've a capable GPU, you'll most likely be relying on a DisplayPort 1.2 connection to drive the 4K 50/60Hz resolution image. Earlier incarnations of HDMI weren't up to the 17.28Gbps bandwidth this hi-res, fast refresh output demands. If you waited for HDMI 2.0 – now featuring on most recent 4K sets – then it can handle up to 18Gbps. However, you're still likely to run into headaches if you were hoping to use a DisplayPort to HDMI lead to connect your GPU to work with a 4K telly, as these converter cables don't support the bandwidth either. So, it looks like a choice of buy the latest Nvidia GPU or get 4K capable DisplayPort monitor. If you're a clever clogs, you might try following the advice of Geforce forum poster Thruput who made an adapter using an Explore EP963E DP 1.2 to HDMI 2.0 converter chip – though it seems he has some expertise in such matters. He told us he bought the development board from Explore in China for $300 and it worked out of the box. Effective, but not exactly cheap. There is another alternative. If you've not invested in a 4K telly yet but have this in mind as your main gaming display, then Panasonic does make 4K TVs with DisplayPort 4K 50/60Hz connectivity (as well as HDMI 2.0, of course), but the cheapest appears to be the 50-inch TX-50AX802B which will set you back about a grand. Incidentally, I asked Startech if it had anything at 60Hz in the offing, the reply was, "we are actively working on a DisplayPort 1.2 to HDMI 2.0 adapter as well as a DisplayPort over USB-C to HDMI 2.0 adapter. Once we launch the adapter we will start to explore cable versions." Encouraging, but don't hold your breath. Recording at 4K is just becoming viable (watch this space) with options like Geforce Shadowplay but you’ll need a whole lotta RAM if you want to do any serious editing.